Click here to order autographed copies from University Bookstore, Seattle. Click here to order from another independent bookstore. Sharon Bertsch McGrayne is the author of highly-praised books about scientific discoveries and the scientists who make them. She is interested in exploring the cutting-edge connection between social issues and scientific progress – and in making the science clear and interesting to non-specialists. Thus, her first book dealt with changing patterns of discrimination faced by leading women scientists during the 20th century. Her second book portrayed a group of chemists and the interplay between science, the chemical industry, the public’s love of creature comforts, and the environment. Her latest book tells how an 18th century approach to assessing evidence was ignored for much of the 20th century before – in an overnight sea change – it permeated our modern lives. McGrayne's work has been featured on the Charley Rose Show and reviewed in The New York Times Book Review, Nature, The London Times, Physics Today, Significance, The Lancet, JAMA, Chemistry and Engineering News (C&EN), New Scientist, Engineering and Technology Magazine, International Statistical Review, PopularMechanics.com, and others. 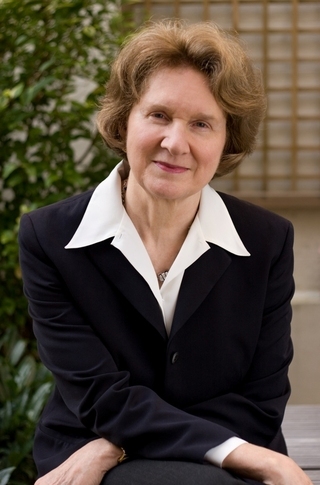 She has appeared on NPR’s Talk of the Nation: Science Friday and been invited to speak at more than twenty universities here and in Europe, at national laboratories such as Argonne National Laboratory and the National Institute of Science and Technology (NIST), and at the Centennial meeting of the American Physical Society. She has written for Science, Scientific American, Discover Magazine, Isis, American Physical Society News, The Times Higher Education Supplement, and Notable American Women. Excerpts of her books have appeared in The Chemical Educator, The Physics Teacher, and Chemical Heritage Foundation Magazine. McGrayne is a former prize-winning journalist for Scripps-Howard, Crain’s, Gannett, and other newspapers and a former editor and co-author of extensive articles about physics for the Encyclopaedia Britannica. A graduate of Swarthmore College, she lives in Seattle, Washington.